Canada is a pretty awesome place to live isn't it? There are the never ending prairies, the mountains, small fishing villages and of course the arctic. My Grandma went to Churchill Manitoba decades ago and has the best stories of staying in cabins and not being able to go out alone because of the polar bears. Scary? I say awesome! What if you could take your family to see polar bears? What if you could also see whales? 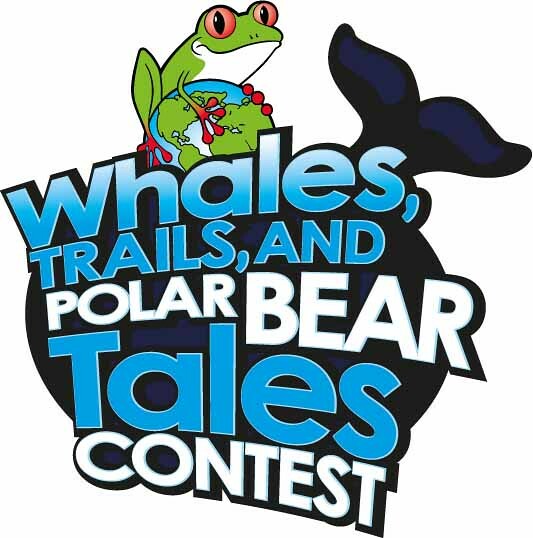 This is your chance to win one of four grand prize family eco-adventures to Churchill Manitoba! Enter the Earth Rangers contest and you and 3 family members could be spending 6 days and 5 nights at the Churchill Northern Studies Center where you will have the chance to to kayak with the beluga whales, go on a tundra buggy ride to spot polar bears, explore the Boreal forest, go fossil hunting and lots more. To enter go to the contest page and click on Enter Contest. Click Log In if you are already an Earth Ranger member. If you aren't then click Join and go through the process of selecting the animal you wish to sponsor and creating your avatar. Contest ends on May 24th at 9:59AM EST and is open to residents of Canada (excluding Quebec). Make sure you check out the full contest rules. While you are at the Earth Rangers website take a look around. It is a really great organization!